I just released my first book with Blurb as a printed volume and as a iPad ebook. The Last Resort is a photo essay of the island of Maui Hawaii in black and white fine art photographs. The name comes from the Eagle’s song from the classic rock album “Hotel California”. In the song they talk about a certain neon sign that is on the island of Maui that says “Jesus Coming Soon”. The sign has been there for 89 years so the term “coming soon” isn’t referring to human years. Maybe 600+ year old Noah would consider that soon but I digress. I was born in Hawaii, I was an army brat but I didn’t stay on the island for more then six months and hadn’t been back. So this journey to Maui was about 45 years over due. The only thing I knew about this tropical paradise was from images I’ve seen on Hawaii 5-0 and the episodes of the Brady Bunch where the family takes a three-episode vacation to the islands. Would Maui live up to the hype of the word “Paradise” or as the Eagles say in there song, should we never call some place paradise because that leads to its ultimate destruction and we are running out of paradises? I found Maui to be an incredible landscape of contrasts. You had desert dry areas, wet rainforests, 10,000 feet above sea level “moonscapes” and 0 feet above sea level beautiful beaches. But there was also an undercurrent of Yankee go home. A bit of native resentment and even a bit of resentment from the hippies and surfers who first flocked to the islands to live out their dreams of a perfect wave. Everyone seems to have a claim to “the real” Hawaii. A photography series documenting traditional small scale maple sugar production in New England. Part of an ongoing series and personal project by photographer Edward M. Fielding. The images in the exhibit were taken during the 2013 sugaring season in Hartland Four Corners, Vermont. Steam billowing from the top of this traditional maple sugar shack built on the Bowers farm in Hartland Four Corners, Vermont caught my eye and began the part of the series. The feeling inside of a working sugar house is in sharp contrast to the outside. Inside is warm, humid and smells sweetly of wood smoke and sugar. Outside a late winter chill still holds on with a firm grip. Traditionally wood is used to boil the raw maple sap in large stainless steel devices called evaporators. The idea is to provide lots of surface area for the excess water to escape from the watery sap. A large supply of wood is needed and often when the evaporators are started, they don’t stop until all the collected sap is processed. Raw sap is collected by “tapping” trees. The watery sap is collected into large drums and then trucked over to the sugar house where it is dumped into a large reservoir outside of the house. Inside the evaporator operator can turn a value to let in fresh sap. As the sap boils the operator is constantly checking the product with a small shovel type tool for just the right amount of drip or stickiness. Grandpa Bowers monitors the maple sap boiling in the evaporator as his grandson watches through the mist. His father who is now 94, built the classic Vermont maple sugar shack back in 1954. Four generations of Bowers men involved in producing this authentic, natural, sweet liquid gold – pure Vermont Maple syrup. Hartland Four Corners, Vermont, March 2013. The Road to Hana is one car trip you will never forget. Twisting,turning, narrow roads that round cliffs, dive into jungles and squeeze over one way bridges. As the passenger (my brave wife drove so I could jump out with the camera when needed), I could have reached out and touched the crumbling lava rock walls and rain forest vines as a tiny rental car squeeze into the curve to let the truck full of locals fly by. The road from Kahului to Hāna is only about 52 miles (84 km) but it takes about 2.5 hours to drive when no stops are made and it passes over 59 bridges, 46 of which are only one lane wide. In most spots the speed limit is 10 although it does get down to 5 miles per hour. There are approximately 620 curves along Route 360 from just east of Kahului to Hāna, virtually all of it through lush, tropical rainforest. Many of the concrete and steel bridges date back to 1910 and all but one are still in use – and they look it! All covered with dirt, grime and mossy jungle greenery. There are so many great sights to see along the road, indeed the journey is the trip. There is never enough time to see everything. The only family argument we had was from this stress inducing drive and the inability to set a pace to see everything we set out to see. At the end of the Hāna Highway (actually past Hāna in a clockwise direction around eastern Maui) is the ʻOheʻo Gulch, also known as the “Seven Sacred Pools”. This series of waterfalls and pools is located inside the Haleakala National Park. Actually reaching Hana is not exactly the point other than for most to turn around and head back, undeterred by the rumours of rental car companies not allowing cars to be taken ALL THE WAY around the loop of the RTH or the short days of winter, we pushed on past Hana to see the back side of Haleakala. In theory the setting sun would give us more light on this side then heading back via the dark jungle. Unfortunately the image of glaring sun across a smuggy windshield on a blind curve with nothing but a plunging cliff down to the ocean and the noise of an oncoming truck is forever burned into my brain. Fortunately the rough, dirt road ended at some point, the road straighted out and treated us to an incredible sunset on our journey back. Bestselling fine art photography prints by Edward M. Fielding available from Fine Art America. A photograph can stop time and allow us to examine a scene that we might have otherwise brushed aside in our hurried pace. 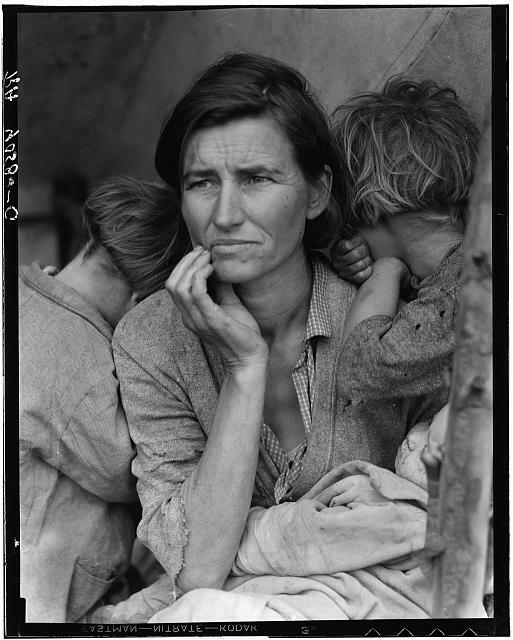 Best know for her image “Migrant Mother”, Dorothea Lange was an influential American documentary photographer and photojournalist, best known for her Depression-era work for the Farm Security Administration (FSA). Lange’s photographs humanized the tragic consequences of the Great Depression and profoundly influenced the development of documentary photography. Clips from photo safari on Maui.